It is 1969 and, following a tragedy, the pupils at an English all girls school begin to experience mysterious fainting spells. The epidemic soon threatens the future of the school as the cause of the fits eludes those in charge. Have they been orchestrated by one troubled girl, is this a case of mass hysteria or is something far more supernatural is at work? I really enjoyed The Falling. I missed seeing it at the cinema and couldn’t wait for its DVD and online streaming release. I had high hopes for this film both as a result of its great reviews and because director, Carol Morely, also directed the documentary Dreams Of A Life, which I loved even though it made me feel really sad. I watched The Falling with some family members who seemed pretty bemused by the film once it had ended. This, for me, was its greatest achievement. The Falling is a film that makes you think and doesn’t tie up its story in a neat little bow. Instead, Morely gives us an unsettling, atmospheric tale where we are never quite sure just what is behind the fainting that occurs. Is it something supernatural? Is one of the girls to blame? The central performances are all superb. Maise Williams is particularly wonderful in her role as Lydia. One minute she seems to be a lost, troubled schoolgirl, the next something far more sinister. I was also bowled over by Greta Scacchi’s powerful performance as Miss Mantel. She hits the perfect note as a unsmiling, unfulfilled teacher who may not be all that she appears. I have to admit that, at the end of The Falling, I had a lot swimming around in my head. I felt that I needed to have a good think about what I had just seen. After the film had settled in my mind, what stayed with me was its theme of the dangers of repression - and female sexual repression in particular. As the girls become aware of the power of their sexuality, their feelings are suppressed, their emotions dismissed. They are taught to ignore and conceal their sexuality. The Falling looks at the dangers of this repression. However, The Falling isn’t just about the repression of burgeoning female sexuality. It is also about repression in general and how burying your emotions and not dealing with the events in your past can damage yourself and tbe ones you love. I would really recommend The Falling. It is an enjoyable, uncomfortable, chilling and immensely thought provoking film. According to The Falling's director, Carol Morely, if you extract all of the subliminal frames in the film and put them together you get a film in itself. Whoah right? Another reason to watch it again! 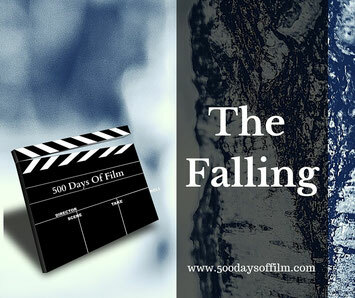 Have you watched The Falling? As I mentioned, it is now out on DVD and available for streaming. If you have watched this film, what did you think? Did you enjoy it like me or did you emerge feeling bemused and bewildered? Whatever the case, do let me know in the comments section below! Click Here To Find Out What's Next On My Film List!